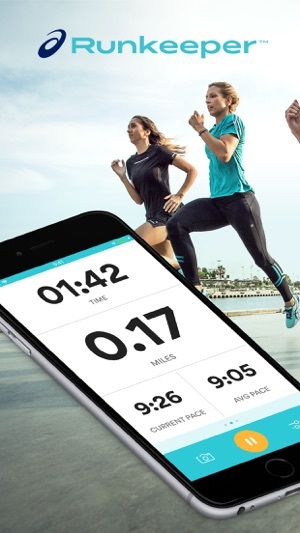 Reach your running goals with the ASICS Runkeeper™ app. 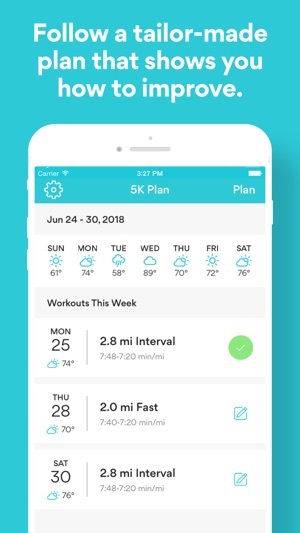 Track exercise, set measurable goals and see progress along the way—whether you’re just getting into running, training for a race or trying to PR, we can help. 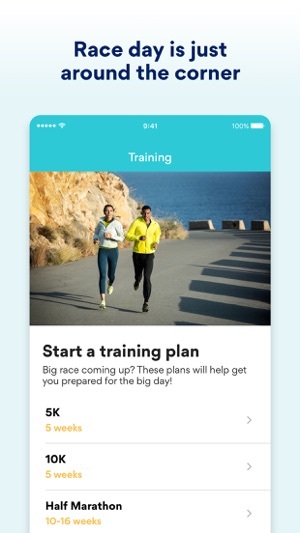 • Track workouts: Record activities like running, walking, biking, hiking and more manually or with GPS. • Set goals: Maybe you want to get faster, run farther or lose a little weight. No matter your goal, we’ll coach you there. • Listen to audio: Choose from six motivating voices that you can customize to relay your pace, distance and time (English only), plus iTunes and Spotify integration. • Follow a plan: Routines lead to progress. Choose a personalized plan that will help get you out the door, day after day. 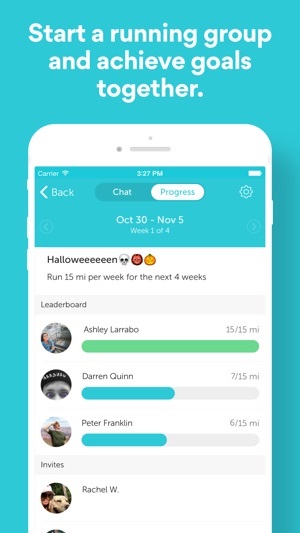 • Stay motivated: Join in-app challenges, get exercise rewards, participate in virtual running groups and share achievements. • See progress: It’s what this is all about. We’ll log your stats to show you how you’re progressing against your running goals. 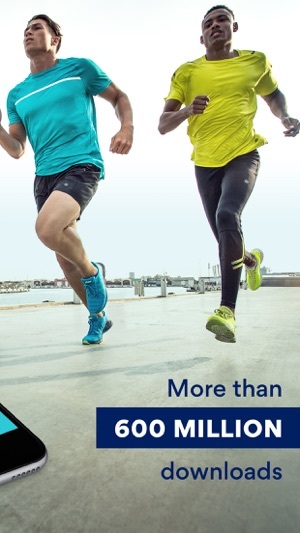 • Get more with Runkeeper Go™: Upgrade to our premium experience to make progress toward your racing goals, from 5Ks to marathons. Take advantage of race-training plans from the ASICS Institute of Sport Science, detailed progress insights (like side-by-side workout comparisons and weather data), prescribed workouts and live tracking. • Bluetooth connectivity: Sync up with wireless headphones and heart-rate monitors. • Fitness tracker integration: Connect your Garmin, Fitbit and other styles in seconds. • Partner apps: Connect with other top health apps like Fitbit, MyFitnessPal and more. *Note: Continued use of GPS running in the background can dramatically decrease battery life. Just like your fitness journey, we’re improving every day! We updated our half marathon plans with interval workouts and better paces! We haven’t added intervals to our other race plans just yet, but we have made the paces for these plans a bit faster, too. And don’t worry, intervals are coming for all race distances soon! We also updated our Pace Academy challenge with new designs and a new slogan—Win The Long Run. We’ve made these updates to show you that we want to support you in a lifetime journey of running, one workout at a time. I was never super active growing up I mean sure I liked to play outside but I never got into sports. Heck I was one of the kids who failed the mile run in health class because I always lacked motivation. Now that I’m an adult and thinking of starting a family I want to live a healthier life style and I am SO HAPPY that I found this app. I just completed my first workout and although it was tough this app was so much more then I could’ve hoped for. They coach you through the workout, help you with breathing, count down with you and constantly provide you with positive motivation. The app allows you to play music in the background from any other platform AND you can lock your screen!! 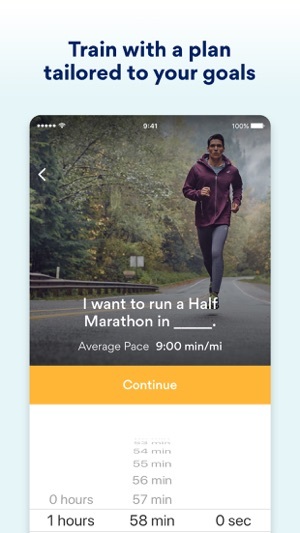 They have a gps map that racks your runs, you can upload pictures, fun with friends in the app, and share your success on any social media platform. This app is exactly what I need and I can never be thankful enough to the team who made it. They give you 18 workouts for free and after that you have to subscribe to the program it’s an annual $40 WHICH DON’T GET ME WRONG IS CHEAP for you receive. There’s also weekly subscription options a free one month trial! AMAZING! 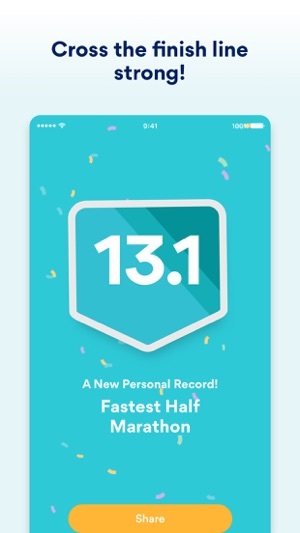 I’m hoping I can become constant with the of this app and learn to enjoy running. I hope this app can bring the same amount of joy it bring to me to others as well! THANK YOU THANK YOU THANK YOU! This is the best use of a smartphone I know of. 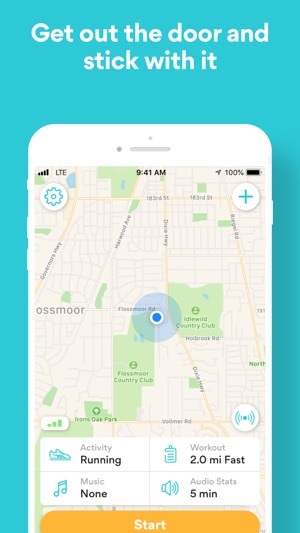 For anyone who runs, walks, bikes or does any activity that involves moving around outside this app is a perfect idea. I have used it for a long time now and wouldn't know what to do without it! Get it. You won't regret it. This app is working well again for the most part. There are still some features I don't like and the total separation (allegedly) of Apple Watch from the app on the iPhone seemed an overreaction to the inability to program them to work well together while other apps ran. Now, I am back to using the iPhone for Runkeeper. It still shows on the Watch but it doesn't track there. I run a different app on Watch as a backup because sometimes a glitch doesn't allow the workout to track right. I used to be the biggest advocate of this app but now that it is part of Asics I am less impressed by it. Like Map My Run (now Under Armour) the quality does not benefit from a bigger company grabbing up the apps. I would say now it remains my favorite but still lacks the simple matter of showing my heart rate (as read by my Apple Watch) on my running screen. Sometimes it makes an appearance when I am walking but I would love to have it show when running but no such luck. And yes, I have made that selection in the app so there is really no excuse for it other than weak programming. I'd say get it if you are a runner but don't expect too much. So sorry for the frustration here! There's a link to submit a support request at the end of every article in our Help Center. You can also reach out to support@runkeeper.com - we're always happy to help! I’m only using the free version so I can’t give it 5, not knowing what it’s like to have the full version. 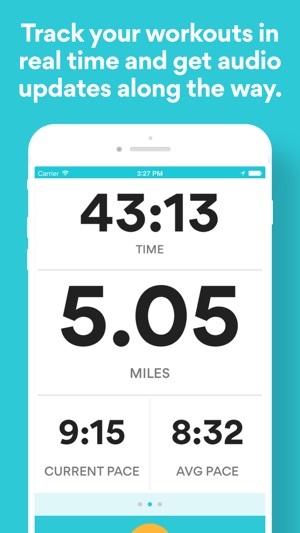 For the free version, it does a great job of keeping track of mileage and average pace and the number of runs or other exercise activities you've completed. The reminders to run are also great for keeping you motivated. Using the average pace is better than having it notify you of current pace at intervals, which seems more inconsistent and unreliable as it gave me wild variations throughout my runs. I like the challenges too. I run anywhere from 3-9 miles on a given day, about 3 times a week. It also has a training schedule if you need one to train for a marathon. I wish the list of alternative activities would include an option for me to customize and add one to the list instead of just having to pick "other" but maybe that comes with the paid version. 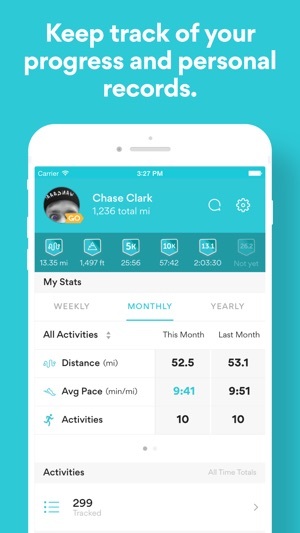 Overall, the perfect app for a novice or avid runner. Not sure if it’s perfect for the regular marathoner but I used it on my half marathon and thought it was great. I like the more recent feature of it automatically detecting a pause in your workout so you don’t have to manually do it every time and refresh it when you start up again. That was a nuisance before. Glad they included that now.